Stay Safe this winter with Mark’s slip resistant boots! And enter to win a $100 giftcard! Depending on where you live, winter could be mild and sweater and light coats – or you can be in Winnipeg and have snow, ice and brutally cold temperatures. But, ice is a big problem anywhere it freezes, even when it’s not super cold – think of Vancouver last winter, seeing people slipping and falling on the news and how icy the roads and sidewalks were all over. Falling in winter not only bruises the ego a bit, it’s painful and often can lead to some pretty brutal injuries. The older we get, the worse it seems to get. I’m a big fan of good winter footwear – a good grip to me is the most important thing. I wear my big boots from Mark’s as soon as it’s icy now – last year I thought it wasn’t too bad out, wore my runners and had a pretty bad fall. Lesson learned. 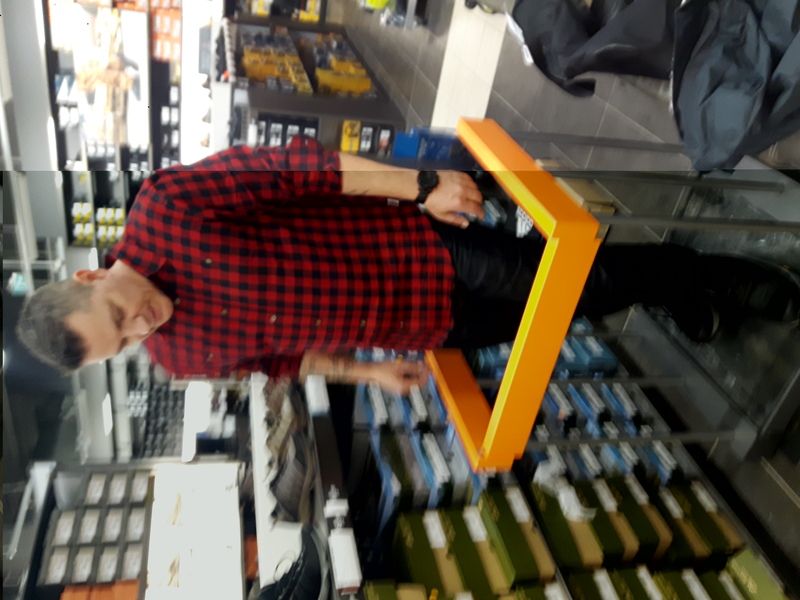 I have them, so I wear them! It’s winter after all. 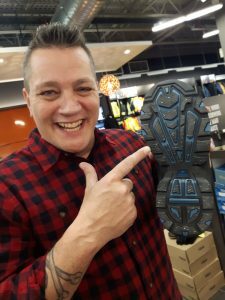 Mark’s has a ton of great boots for winter and some new anti slip innovations that will keep you safe all winter. 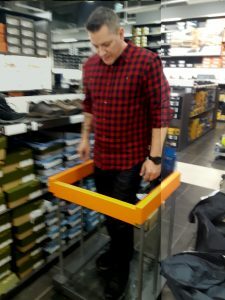 My husband went and met with Damon Bennett to learn more about it and to test some boots out. They had an incline and ice there to try it out and the Vibram Artic grip boots had the most amazing grip. He was really impressed with them and even when he was trying to slip and slide, the boots gripped in. Great for those working outside in the winter – but also just if you really cautious of falling. And like Damon mentions in the video, such a great idea for the elderly to get boots with an amazing grip. These are some serious boots – engineered and designed to perform on wet ice – and improved grip now on cold, iced or snowy surfaces. Covers all parts of winter. Just don’t wear these boots indoors as there are crystals in the soles. Which, in Winnipeg most people don’t stomp around houses in winter boots, so shouldn’t be an issue. It’s winter here for quite a bit of the year – and when it gets icy you’re better off with a great pair of boots so you can get out there and work, or just enjoy the winter. Warmth is a big one too – but not falling wins for me every time! You can check out the site Damon mentions in the video – Rate My Treads. It’s such a great idea to see how well boots do on ice and incline. 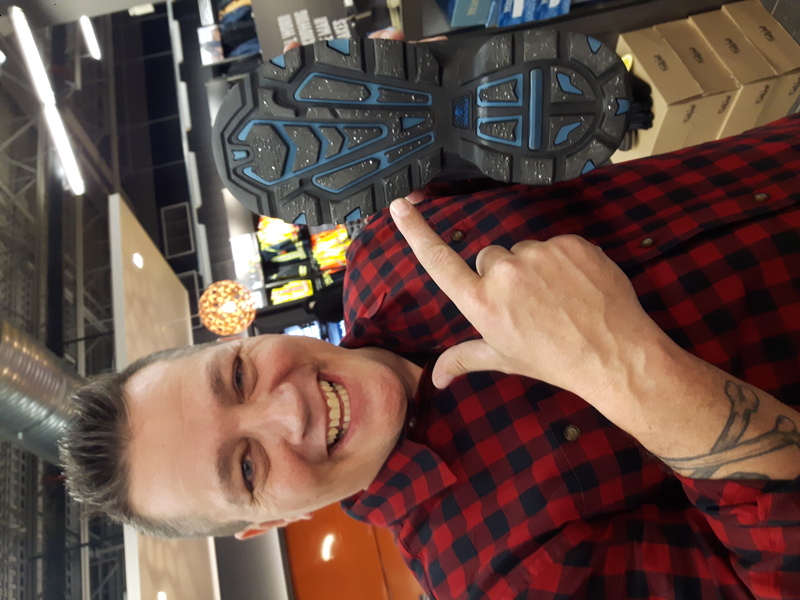 And thanks to Mark’s one lucky person will be winning a $100 giftcard – maybe it’s time for new boots or any of the other functional and fun items found at Mark’s! 1 – Check out the Mark’s site and comment with which winter boots are your favourite! Giveaway is open to all Canadians and will end Friday Dec. 15th at noon – Good Luck everyone! I am interested in the Vibram Artic Grip boots….. but, I really have to check them out in person. I have MS and need extremely good grips. I cannot walk on ice and if I slip I probably will fall. So I am very, very careful as to what kind of grips my shoes have. Most important is…. G.R.I.P….. Bonus if they look good!! I have always liked the Wind River products. As i get older i think grip becomes more and more important. I love Marks! Something for my whole family there. I love the Skechers womens Jumpstart d-Lites boots because skechers is always the best fit for my difficult feet! To me the most important feature is the insulation level for boots i am using for winter walking. And Grip. Both are very important! Also posted it on my wall, thank you for the wonderful contest and Merry Christmas everyone. My favourite winter boots are the women’s Denver Hayes Women’s Ava Low Cut Lace-Up Winter Boots. I think the amount of grip on your boots is the most important, for sure. Timberland Mount Hope lace up winter boot really appeals to me. It is absolutely the grip. I have worked purchasing medical supplies and equipment. Ice creates some brutal falls. Already liked Mark’s FB page ? Shared this article to FB which includes the giveaway! Comfort first and foremost…but for someone being outside a lot, that snowflake rating is important. I like Mark’s on FB. I’ve shared this post through FB. I like the women’s jump start d’lites boots! The grip is the most important to me. Grip is one of the most important aspects for me. I like the Sorrel Snowlion. The most important thing is grip. As someone else mentioned, I also have MS and I am notoriously bad at slipping in the winter. Even with okay grip, so I am always looking for boots with AMAZING gripping souls. I can always double or triple up on socks, but grip is so important. Based on the options I saw the Women’s Powder Valley Arctic Grip Winter Boots are the ones that I am really liking, and the reviews on the boots are amazing. My pick would be the woman’s soft shell hiking boot. I dislike true winter boots so these would be perfect for me. Grip and width is important to me. Love the Mount Hope boots!! Grip and warmth are both important to me! Warmth! If I’m going to spend time outside my toes better be warm or I won’t last. I really like the looks of the Women’s Bridgette HD2 Water-Repellant mid-cut boot ! Warmth is really important to me – my feet are cold all the time ! Liked Mark’s on FB ! Posted the contest link on my FB page ! Contest link posted on my timeline! Thanks! My husband recently bought the WindRiver Men’s Yukon winter boots and he loves them! The Baffins “Chloe” look warm and stylish! Video watched! I think the snowflake rating is just about the most important thing I’ve ever heard when it comes to boots! You need to safely be able to walk on incline! I like the Baffin soft shell winter boots. My fave boots are the women’s mirabelle max nylon slip on boots. I like the Sperry womens powder valley arctic grip winter boots. Warmth is most important to me. I like the Denver Hayes Ava low cut style with the lace up. I think they look both warm and comfortable. Thanks! I love the idea of being able to rate my grip. That is major for me on the walks to school. Comfort is important too. I like Mark’s on Facebook. Shared on Facebook but unable to paste the link. most important to me is the snowflake rating, I want boots that aren’t a fail with all of my outdoor adventures.